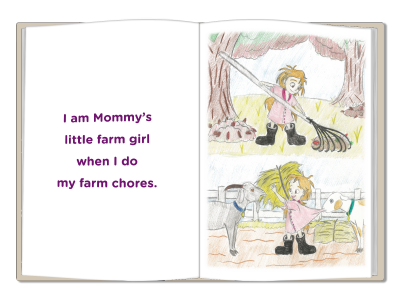 A children's book, illustrated by Dani Rizzo, that tells the story of a little girl helping her mother with farm chores. The book is inspired by ServiceNet's Prospect Meadow Farm. 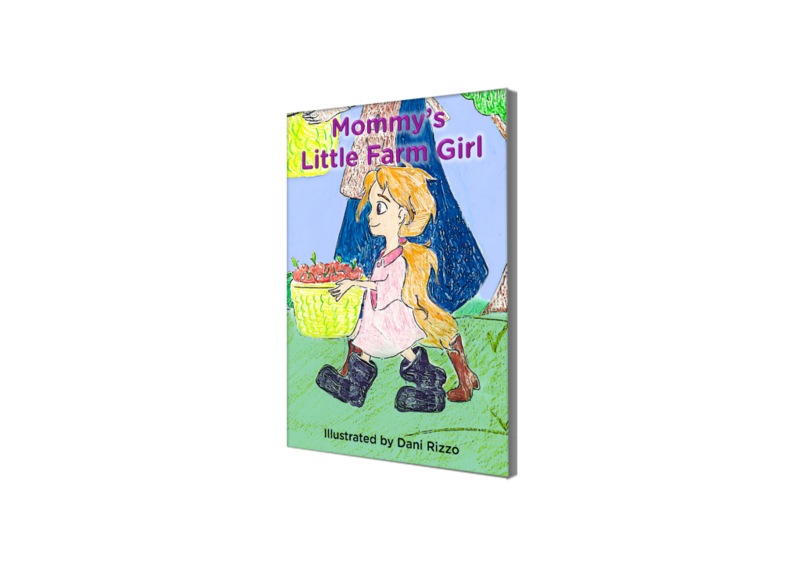 Proceeds for the book will go to the farm. Illustrator, Dani Rizzo, is a talented artist and senior farmhand at ServiceNet’s Prospect Meadow Farm in Hatfield, Massachusetts. 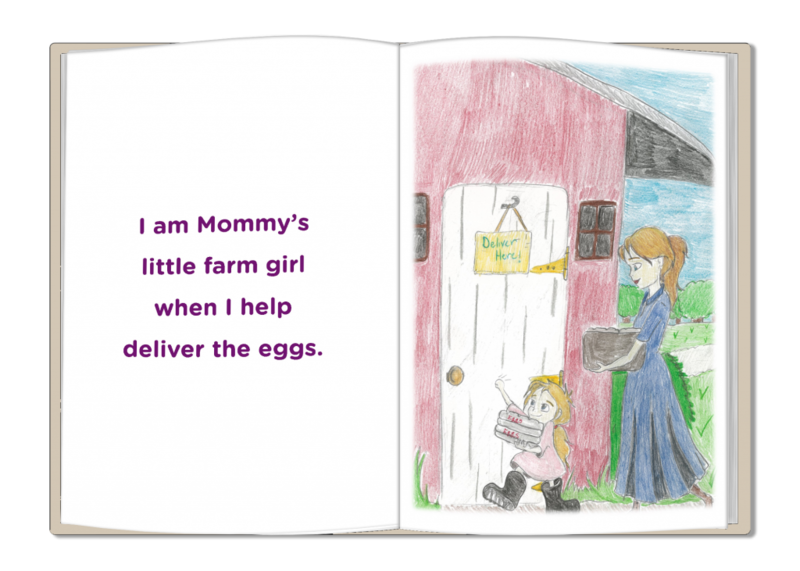 Her love of drawing began at a very young age and has developed into a lifelong passion. Dani is inspired by many famous animators. 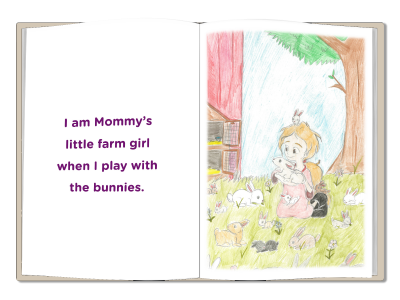 In the future, Dani aspires to be part of an animation team, herself, creating and designing characters. 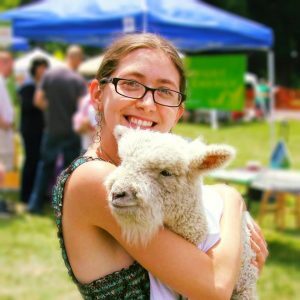 Dani has worked at Prospect Meadow Farm since 2015, and she is a member of the Farm’s new Culinary Arts program. 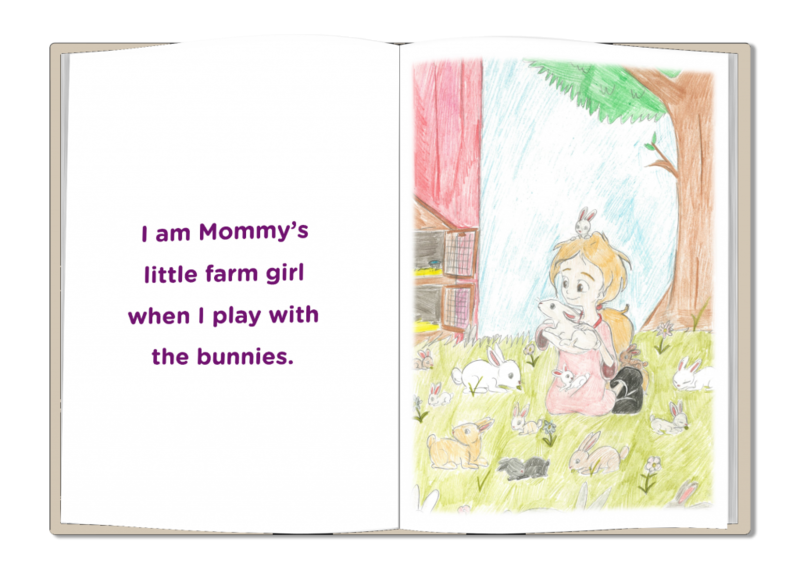 When she isn’t busy cooking, or working on her illustrations, Dani enjoys harvesting crops, caring for the llamas, collecting eggs, and helping to keep the farm clean and beautiful.